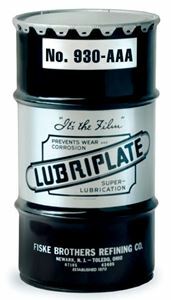 The LUBRIPLATE "930" Series of lubricants are also listed as "multipurpose" but with a higher operating temperature range than the "630" Series. These lubricants possess high film strength and exceptional resistance to water, steam and other adverse operating conditions. Since these lubricants are of the non-melt type, they can be used successfully for high temperature applications up to 375°F and for short intervals up to 400°F. The LUBRIPLATE "930" Series of lubricants are shear stable multipurpose greases for both plain and anti-friction bearings. These lubricants are recommended wherever Microgel greases or Bentone greases are recommended and used. LUBRIPLATE No. 930-AAA is an NLGI No. 0 consistency and is ideal and recommended for centralized lubricating systems. 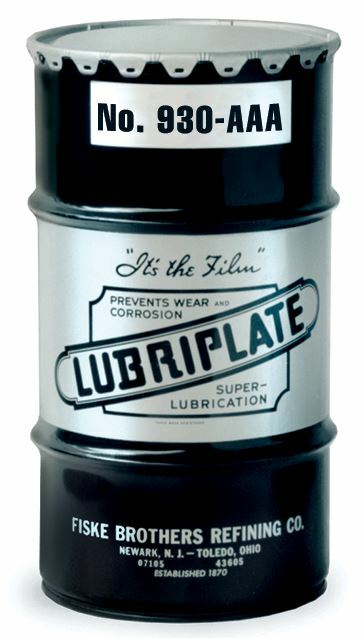 This lubricant is also a superior grease for certain types of enclosed gear cases of medium speed and no seals.